Dr. Johnson retired in 2015 after a 33-year career as a faculty member in the Department of Veterinary Clinical Sciences, The Ohio State University College of Veterinary Medicine (OSUCVM). She recently came out of retirement to serve as interim associate dean for Academic Affairs at the OSUCVM. She is regarded as one of the college’s most progressive and innovative teachers, and led ten separate courses in the preclinical and clinical curriculum, five of which Johnson initially conceived and developed. She also developed and implemented web-based clinical cases that include interpretation of imaging and laboratory diagnostic tests for teaching case problem solving. Dr. Johnson has received the Dean’s Award for Creativity in Teaching from the CVM. Throughout her career, Dr. Johnson has been universally regarded as a clinical expert in internal medicine, with specific focus in the areas of canine and feline liver diseases and gastroenterology. She has published 48 journal articles and 40 book chapters. Dr. Johnson is an acknowledged expert in gastrointestinal endoscopy. Dr. Johnson received an Ohio State CVM Distinguished Alumni Award in 2016. 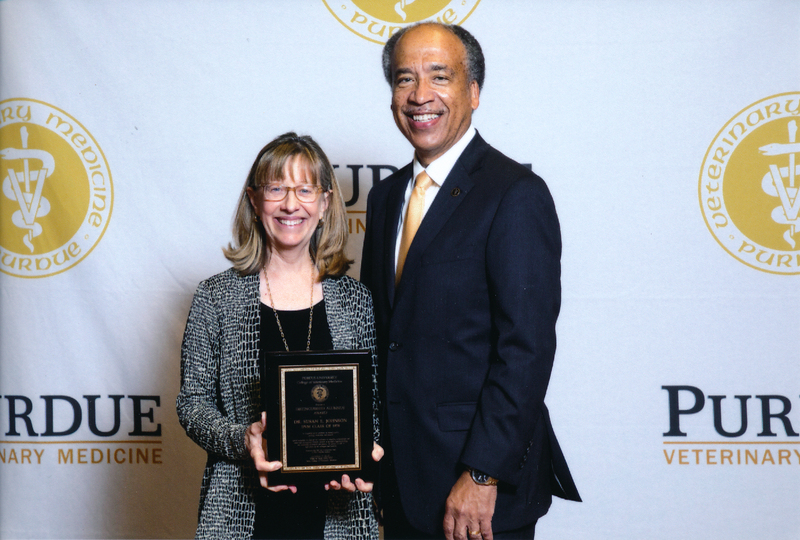 Her sister, Dr. Ann Johnson, has received both the OSUCVM and Purdue CVM awards as well.